Honda was proud to accept the honor of being Best Sedan in 2016 from the tech-savvy Popular Mechanics recently. They praised it for Honda’s willingness to step outside the realm of convention to deliver a truly unique sedan. 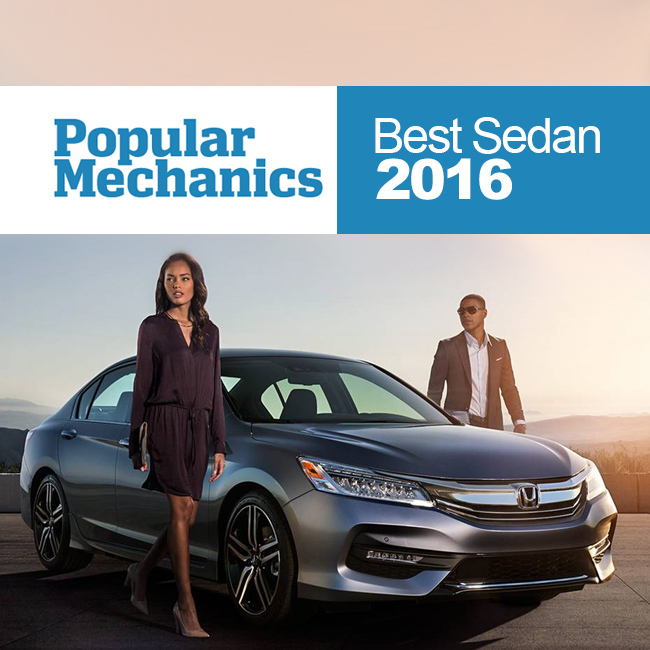 Comments Off on Popular Mechanics names Honda Accord ‘Best Sedan of 2016’. 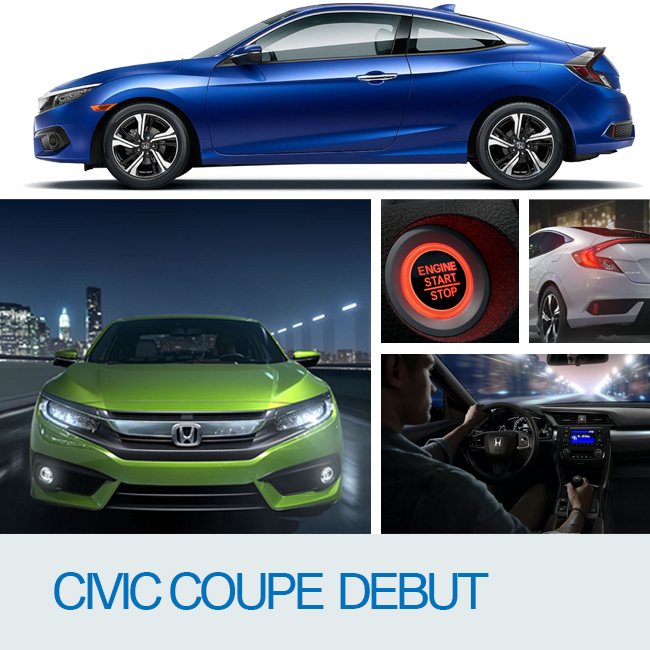 The 2016 Honda Civic Coupe is here! The latest Civic Coupe isn’t just about its great looks. Its sophisticated chassis has performance to match, offering superior comfort, dynamic handling and a level of refinement not often seen in the compact-class. Comments Off on The all-new Civic Coupe arrives: stylish, refined, dynamic and connected.